I recently attended a presentation hosted by the Stratford Historical Society by Keith Miller, who spoke of the roughly 1000 men who served in the Civil War from Fairfield County, Connecticut. There were probably about 50 people in the audience and it was clear that many of them wanted to discuss Civil War topics with the speaker after his presentation. Nearby, I overheard a few of the questions he was asked. Surprisingly, several people were looking for resources to research their own ancestor who had served from Connecticut. I have to say, that what transpired next was incredible impromptu research. I was looking for information on one of my mother’s relative who had served as a Confederate officer and been captured by Union soldiers. I believe he finished the war as a prisoner of war in Louisville, Kentucky. The reference librarians swarmed me with attention, pulling books from the stacks and retrieving various miscellaneous information from the archives. I spent an hour totally engrossed in fascinating material that would never have been readily available in a regular public library. “We would like to be THE source of civil war material,” shared an enthusiastic reference librarian. I was never more impressed with a library, its clear mission statement, or its staff. Because I was only traveling through, the librarian handed me a sheet titled “Looking for your Civil War Soldier? — A Checklist.” The page included both websites and printed sources. I squirreled the page away in my writing desk, so as not to lose it. I wish that I had had it at my fingertips to share when I heard the questions about civil war reference sources the other night. The Stratford Historical Society has compiled a list of local men who served in the war, and I’m sure other historical societies have similar lists. However, I wanted to share the list of sites that I received from the Lincoln library. Some of the sites below are specific to Illinois, but some are broader and I’m guessing that there may be pages or links available to information about other states. Please let me know if there are others and I’ll add to the list! Illinois State Archives — Searchable index of Illinois Civil War soldiers. Civil War Soldiers & Sailors System, National Park Service – Searchable index of all known Union and Confederate Civil War soldiers. Compiled Military Service Records, National Archives – Compiled Military Service Records (CMSR). Military Service Records, Pre WWI, National Archives – Military and pension files for pre and post WWI. 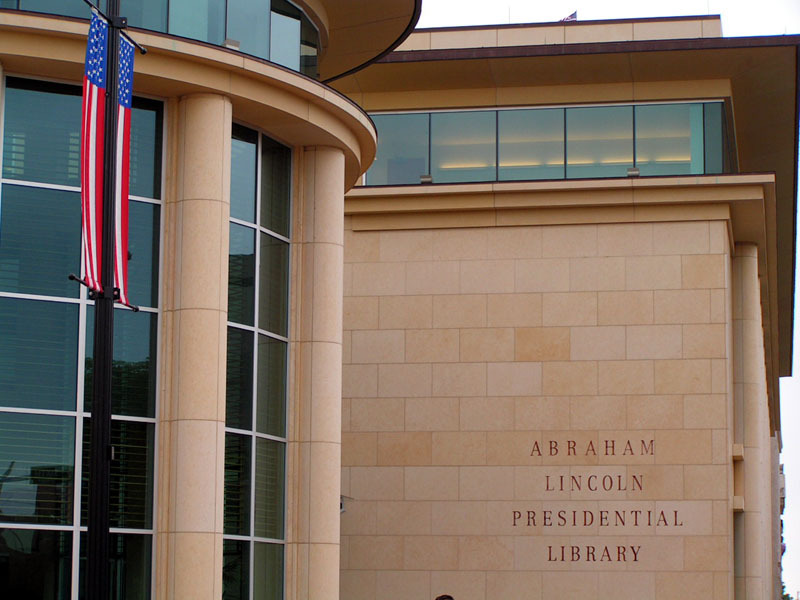 Abraham Lincoln Presidential Library Surname Search Index – Citations to biographical sketches in Illinois counties. U.S. GenWeb Project – Civil war records in Illinois. Commemoration of the Sesquicentennial of the American Civil War in Illinois – Month by month timeline of Civil War events. Glad to see you finally got to the genealogy. There are national organizations for the descendants of civil war veterans that some may be interested in. If you wish, I can get a list from my daughter who is active in this area.